Brewer Description: (from bottle) Saison à la rhubarb. Intro: A 330ml flip-top bottle, lot 1, with a notched best before date of May 2020 on the front label. Poured into a 3 Fonteinen stemmed glass. Appearance: A hazy golden dark orange colour with a just over one finger white head that had decent retention while leaving behind some nice lacing. Aroma: Nice funk, rhubarb, apricot, grape, lemon and wood. Taste: Light funk, light sour, apricot, white grape, rhubarb, lemon, oak and spice on the finish. Mouthfeel: Light to medium bodied with strong carbonation. 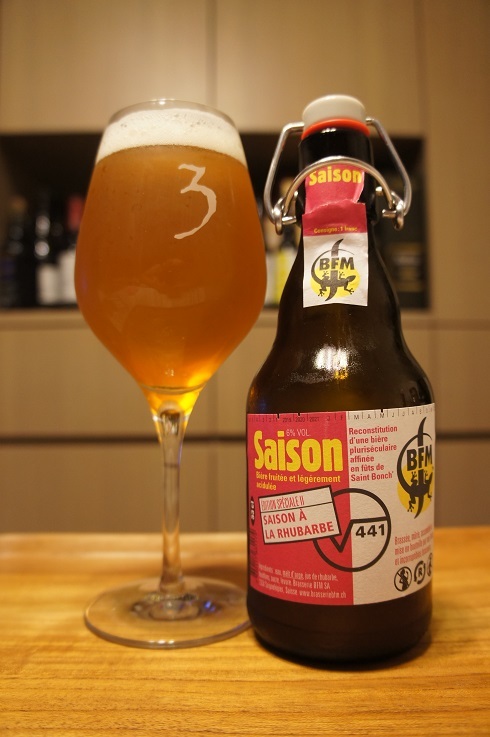 Overall: Great tasting rhubarb Saison with a good balance between sour, funk and fruitiness. Feels like I could just keep drinking this. 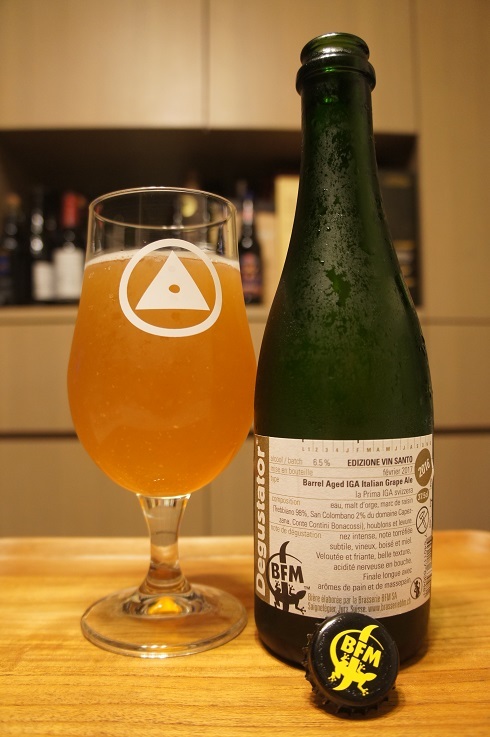 Brewer Description: (from website) Don’t be afraid of sour beers! Love them! 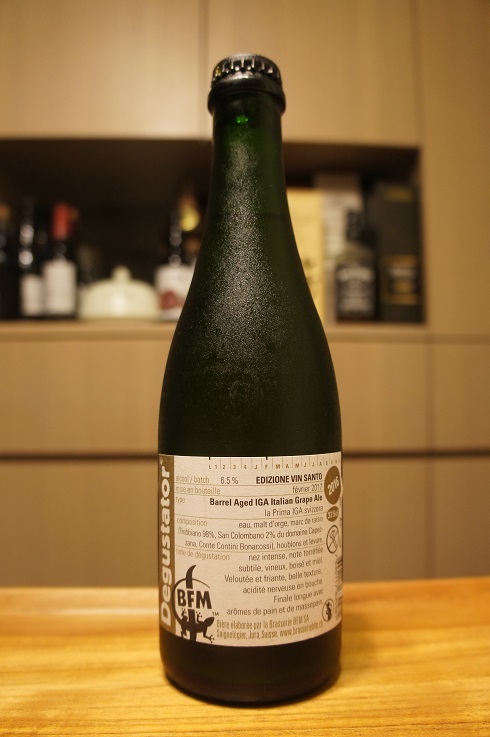 L’Abbaye de Saint Bon-Chien is an antique beer, a strong sour ale with 11% abv, aged in old wine oak barrels during one year. After the aging period, the different casks are blended together in order to obtain complexity and lots of flavours. 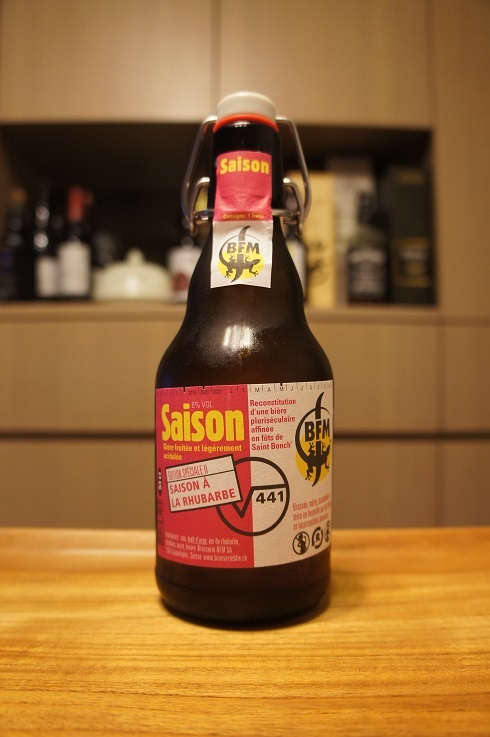 Saint Bon-Chien is one of the world’s flagship’s sour beers coming from a mixed fermentation. It first ferments with wine yeast, then during the cask’s maturation, lots of microorganisms coming from the casks change the beer’s flavour profile. Intro: A 250ml pour on tap of the 2014 vintage at Moeder Lambic Fontainas into a Moeder Lambic snifter glass. 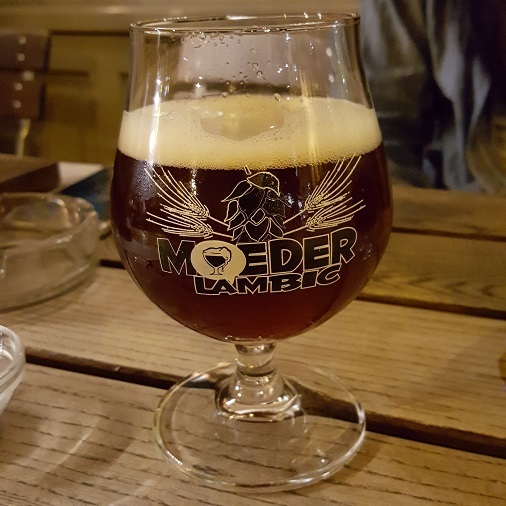 Appearance: It was a slightly hazy dark amber brown colour with a one finger tanned head with good retention and nice lacing. Aroma: Tart, plum, cherry and oak. Taste: Sour, tart, balsamic, plum, cherry, oak, lightly medicinal plus hints of grape bubblegum sweetness. Overall: Very nice! A bit boozy and a little sweet but still delicious.